Our students’ determination, perseverance, and continued hard work have surely paid off with the great results on the Specialized High School Admission Exam. This year, the SHSAT outcome exceeded all of our expectations: 93% of our students have been accepted into the best rated High Schools of New York City such as Stuyvesant, Brooklyn Technical, Staten Island Technical High School, LaGuardia High School of Music & Art and Performing Arts, Leon M. Goldstein High School for the Sciences, James Madison High School, and Edward R. Murrow High School. Exams may not be the ultimate tests of life, but they are definitely the ultimate tests of character. By passing these exams, it has been proven that our students have strong characters, and are full of determination and commitment. I wish a great success and longevity to our SHSAT Preparatory Program launched by the English Department five years ago, and look forward for further advances in Mathematics. I am confident that with the joined effort of teachers and parents, our school will continue to keep up the banner of excellence -educating multiple generations of confident learners for years to come. In order to prove this self-evident truth, we the 8th graders of the Big Apple Academy present to you our SHSAT scores. Behind these outstanding results are years of hard work, unfinished video games, and missed trips to the movies. Behind our mind-blowing successes stand the true titans in the field of education. 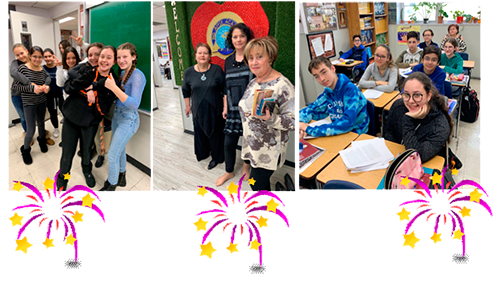 They include our Math teacher Svetlana Kozorezova, our English teacher Gennadiy Rozgdestvensky, and our homeroom teachers Olga Ruban, Yevgenia Blokh, and Yelena Korsunskaya. These people deserve our most sincere gratitude. It is to them that we tip our hats and bow our heads in genuine appreciation. Mrs. Svetlana looks like a fragile lady who quietly glides the floors of the Big Apple Academy. However, she wouldn’t shy away to point a mistake to Pythagoras himself, if had he made one. And G-d help this famous mathematician if he didn’t submit his error corrections on time. 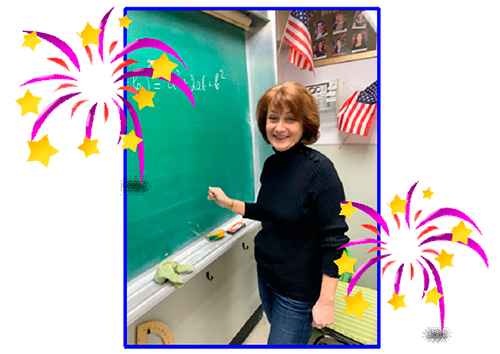 He might be the father of the famous theorem, but to Mrs. Svetlana, all men are created equal and they all walk under Math. We, her humble students, have learned from the 3rd grade several axioms that we dare not to forget. Mr. Gennadiy Rozgdestvensky may not have a beard like William Shakespeare or the mustache of Mark Twain, but he knows how to extract the main idea from every story, even from a story that seems to lack any idea. Oh, and those complicated ATB words that Mr. Rozgdestvensky generously supplies every week would make Emily Dickinson reach out for Webster Dictionary. But we, Mr. Gena’s students, know them all and use them wisely to explain the whereabouts of our missing homework assignments. 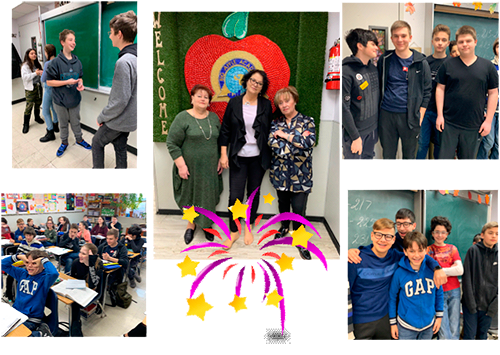 To our beloved classroom teachers Olga, Yelena, and Yevgeniya: You have mothered us for so many years that we are no longer sure whether we are your kids or your students. Thanks for your incredible loyalty and patience that you so generously bestowed upon us.